They just keep on coming! When you have a healthy eggplant bush, the yields can be very impressive – and if you want to use them up without getting bored of the same dish over and over again you’ll need to add some different techniques to your repertoire. This is a quick and tasty way to enjoy your eggplant using either your barbecue or a grill pan/plate on the cooktop. Cut the eggplant into thick slices, lengthwise is cool so you get big teardrop shaped slabs. Place into a shallow dish with olive oil straightaway and add dried herbs or a seasoning mix to taste (Moroccan is nice). Turn over so the eggplant is coated on both sides. 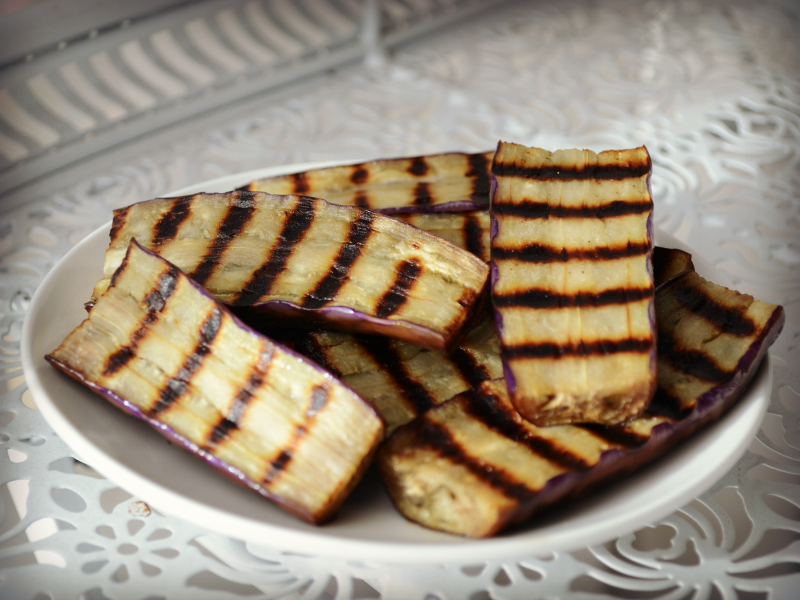 Pre-heat the grill so it is hot, then add eggplant and turn after a few minutes. Cook on the other side for a few more minutes. Remove before it gets mushy and they will soften as they cool, place back in the tray with the oil. 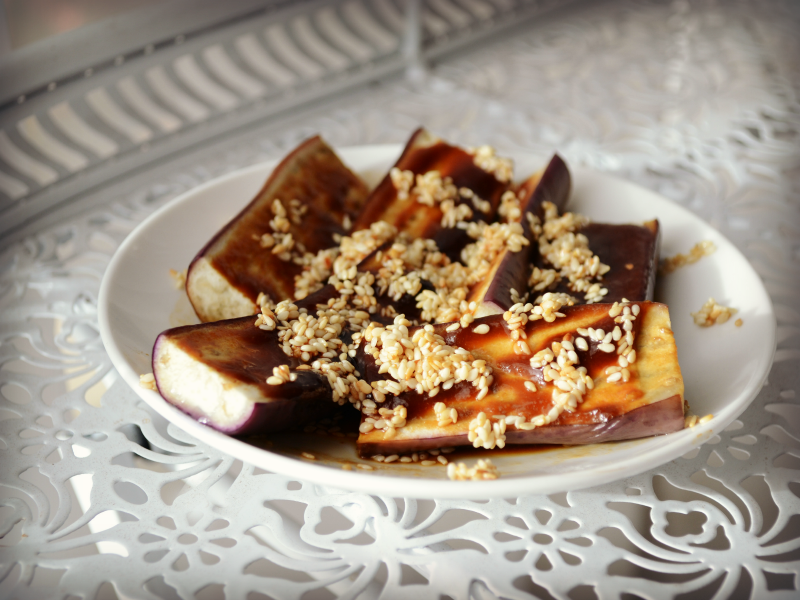 If you are looking for an eggplant recipe that doesn’t involve using oil, then have a go at steaming eggplant. The resulting texture is surprisingly soft and creamy. This style works really well as a Japanese style dish – served with sauces like hoi sin or a miso paste and toasted sesame seeds. Slice eggplant into wedges, and place on a ceramic saucer. Spread with hoisin sauce, and place into a steamer. Place over simmering water with the steamer lid on for 3 to 5 minutes. You want the eggplant to be softened but not completely collapsed. Serve with toased sesame seeds. Either a simple dusting of flour, or egged and crumbed. 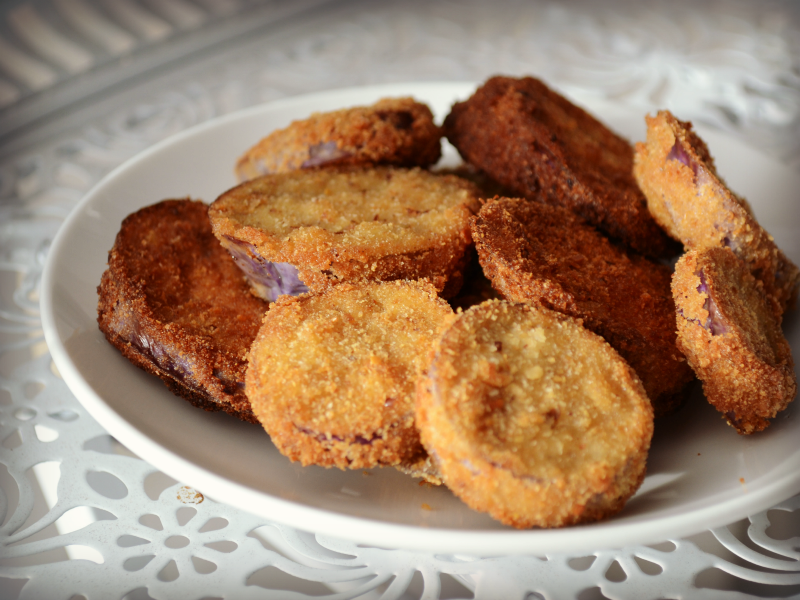 Frying eggplant is a great place to start for people that “don’t like eggplant”…While the eggplant itself is a little diminished in this way of cooking, it is delicious served with a chunky relish or a yoghurt and mint dip. This style is handy if you have a few kilos of eggplant to get through, as I figure once the oil is heated you might as well keep going. Have a go at using a light tempura type batter also – but you will need to slice the eggplant thinner to make this work. 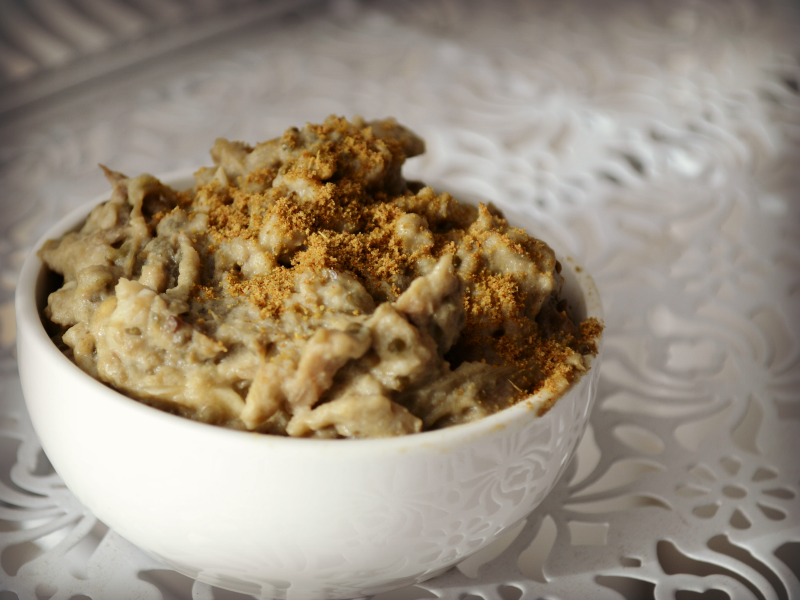 Roasting eggplants turns the flesh to mush, which can then be used for preparing the famous baba ganoush dip. Preferably the skin of the eggplant should be blackened over a flame to get the smoky flavour. Either use the flame from your gas cooktop – or if you use a weber bbq (beads or charcoal) place the eggplant on the grill after the roast meat has been removed, and leave them there until the heat runs out. It is just as easy to bake them, but you won’t get quite the same flavour – place on paper lined trays and cook for one hour. Let them cool completely before scooping out the flesh. Blend with other ingredients to your taste, I like to use roasted garlic + tahini + salt + cumin. 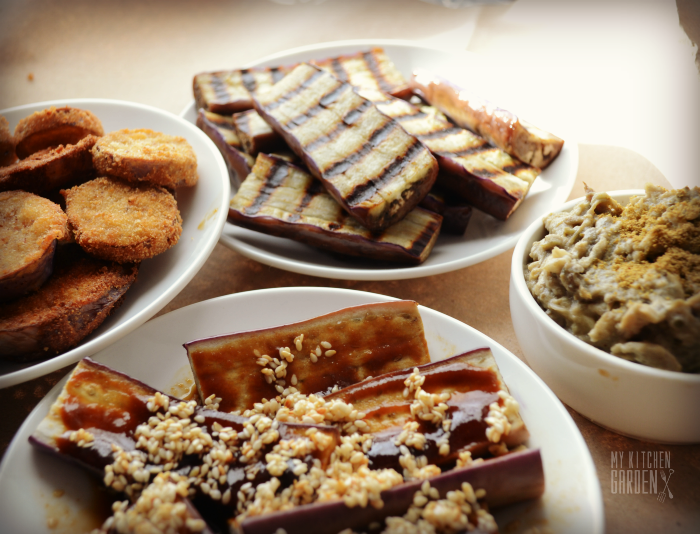 What are your favourite ways to prepare Eggplant? Share your recipes and ideas in the comments below.